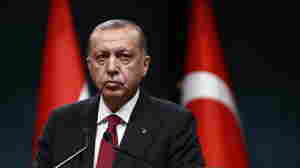 August 17, 2018  Rising tensions between the two countries have caused Turkey's currency, the lira, to plunge by about a third of its value against the U.S. dollar since January, sparking fears of an economic crisis. August 15, 2018  Cafer Topkaya describes how he went from unassuming Turkish NATO officer to one of the thousands of targets in the Turkish government's sweeping crackdown after the 2016 coup attempt. 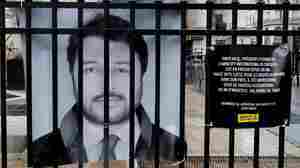 August 15, 2018  Although Turkey released Taner Kiliç, it refused to free an American pastor whose detention has sparked a diplomatic dispute between the two countries. August 15, 2018  Ankara has increased tariffs on U.S. products ranging from liquor to automobiles to beauty products, in some cases more than tripling them. What's The Deal With The Deepening Dispute Between U.S. And Turkey? August 13, 2018  With the tariffs, sanctions and insults, these longtime allies are looking like anything but. As the Turkish lira falls, you may wonder what's going on here — and why it matters. We have answers. 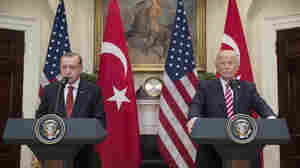 August 10, 2018  President Trump called for a doubling in the tariff on imported steel and aluminum from Turkey, escalating a diplomatic spat with a key NATO ally. 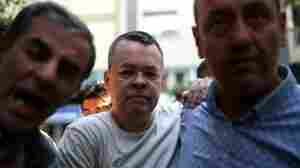 August 1, 2018  Andrew Brunson was swept up in the arrests that followed the failed 2016 coup in Turkey. Now, he's become a focus of tensions between NATO allies — tensions that substantially escalated Wednesday. Who is Andrew Brunson, The Pastor Prompting Sanctions Threats Against Turkey? 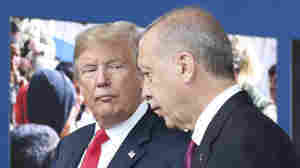 July 26, 2018  In a move that is winning praise from religious conservatives, the Trump administration threatened sanctions if Turkey does not release an American evangelical pastor. 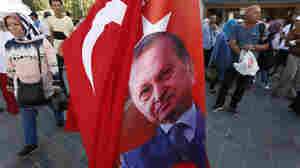 July 26, 2018  So far, more than 130,000 people have been sacked from the military, police, civil service and academia in President Recep Tayyip Erdogan's crackdown, known in Turkey as "the purge." July 23, 2018  Mesut Ozil was criticized after he posed for a photo in May with Turkish President Recep Tayyip Erdogan. "I am German when we win, but I am an immigrant when we lose," he said. 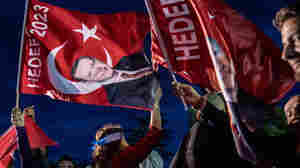 June 25, 2018  Recep Tayyip Erdogan's victory ushers in a powerful new executive presidency eliminating the prime minister's role and granting the leader the ability to rule by decree and dissolve parliament. 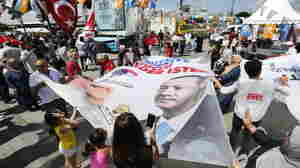 June 22, 2018  On Sunday, voters will elect a president and parliament in snap elections called by President Recep Tayyip Erdogan, who has amassed broad powers over the years. Here's a look at what's at stake. June 14, 2018  Turkey is scheduled to get its first F-35 jet fighters next week, but it is also considering buying Russia's most advanced anti-aircraft system. 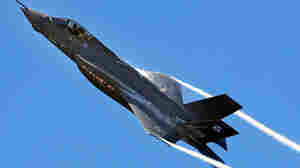 Congress is moving to block delivery of the warplane. June 8, 2018  The crackdown follows a 2015 law that bars foreign financing of religious institutions in Austria, but critics say it's driven by Islamophobia. 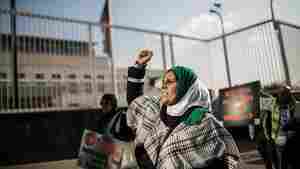 May 15, 2018  The day after Israeli troops shot dozens dead during protests on the Gaza border, envoys traded barbs at the U.N., countries confronted ambassadors — and Guatemala readied an embassy move of its own.